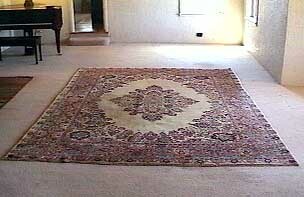 This Sarouk comes from a turn of the century historic Sedona Estate. 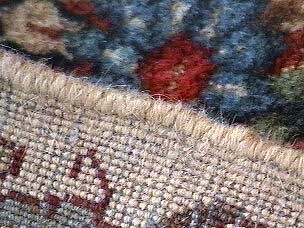 This rug was purchased new in the 1920's by the owners grandfather. 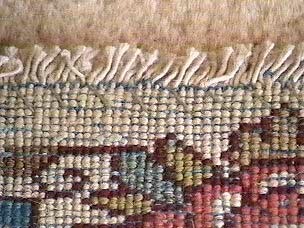 It is in excellent condition and has just been professionally hand washed, which has brought the lanolin back to the pile. 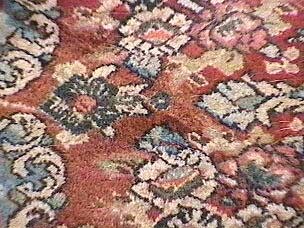 This gives a nice vibrancy to this beautiful sarouk awaiting it's new home. You'll need the G2 player for the full experience. 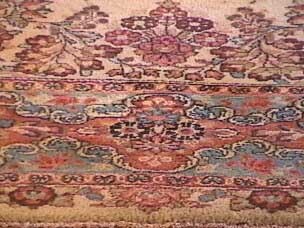 This rug is woven in the city of Sarouk Iran.It has 100% wool pile with a cotton foundation. 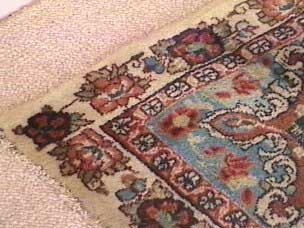 Measuring 9.1 X 12.2 , featuring a Kerman design with a light color combination. This is unusual for a Sarouk. My name is Amir and I am here to help you. 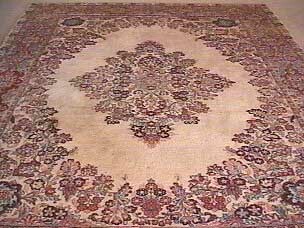 Feel free to click on me for Real Video description and information on this exquisite Persian Sarouk. that this is a Sarouk.